STEP 6: Assuming you are low estradiol, how could you increase it? Before, I go on, let me explain that I am using the word estrogen here, but estrogen is actually a family of three estrogens, estrone, estriol and estradiol. Estradiol (E2) is the big gun in the family. If you go to the doc and get an "estrogen test," he should actually test your estradiol levels. So, again, when I say "estrogen," I am really talking about estradiol, because estradiol controls erectile, bone and brain function. Let me lay out a very common scenario that I see on the Peak Testosterone Forum: a man writes in with, say, low testosterone of 330 ng/dl and also mentions that his estradiol level is 12 pg/ml. His focus is almost always on the low testosterone, but what he does not realize is that the low estradiol is very likely causing him just as significant of issues. Remember that a man's estradiol comes from testosterone. So, if testosterone is low, then a man can very easily be low estradiol as well. And this will likely over the months and years lead to bone loss and eventually osteoporosis. But there is another thing that comes along with low estradiol: misery. That's right - recent study work has shown that most of the symptoms we associate with low testosterone can also be caused by low estradiol. There is little difference between the two. 1. Use of an Aromatase Inhibitor. Some men need to boost their estradiol levels, because they have "crashed their estrogen" from taking Arimidex or a Suicide Inhibitor. In this case, usually all that is required is a two to three week wait time. 2. Low SHBG Men (on HRT). SHBG is a protein that bind to testosterone and estradiol and creates a "reserve" or pool of these critical hormones. Some men, for reasons not totally understood yet, have very low SHBG levels. This condition is usually tied to a suite of symptoms including insulin resistance and liver dysfunction that I outline in my link on Low SHBG. Practically speaking, a low SHBG guy will clear out his testosterone and estradiol so quickly, i.e. urinate them out of his system, that his plasma levels are too low. This can give him mediocre HRT results and many other problems. If you are low SHBG, please join us on the Peak Testosterone Forum and ask some questions there as this is a whole subject on its own. 3. High SHBG Men (not on HRT): High SHBG will naturally push down free estradiol levels. So a man with low medium estradiol could end up with overly low free estradiol levels due to so much of his estradiol pool being bound up. 4. Low Testoserone. 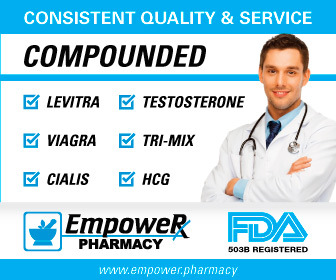 As discussed above, a big percentage of low testosterone men are also low estradiol, simply because they do not have enough base testosterone from which to convert to estradiol. 1. Boost Your Testosterone Naturally. The best way to pull up your estradiol levels is to increase your testosterone. Again, as your T rises, more of it will be converted to estradiol by the aromatase enzyme and so your estradiol levels will go up in parallel. There are many very common ways to boost testosterone naturally, including fixing a Vitamin D deficiency, varicocele, sleep disorder or hypothyroidism. For other ideas see this page on How to Increase Your Testosterone Naturally. 2. Hormone Replacement Therapy (HRT). Some men just cannot boost their testosterone levels naturally and will end up on some form of testosterone therapy. This is the most common way that I see doctors boosting a man's T levels. Again, as testosterone rises, estradiol follows. It can be a little tricky to get both testosterone and estradiol in the proper range but that is another subject. See these links on Various Testosterone Therapies for more information. So, on a practical level, docs usually raise a man's estradiol by increasing his testosterone. You can buy bioidentical estradiol creams - some women use them - but I have never heard of a physician prescribing them to one of their male patients. 1) Body Fat. Body Fat=Estrogen. It's a simple formula and it's very true. As your fat cells grow - you don't really get new fat cells - the more aromatase that accumulates in fat tissues. And aromatase is what converts your precious testosterone into estrogen. As testosterone falls and estrogen rises with increasing body fat levels, eventually a nasty point of secondary hypogonadism can be reached, where testosterone falls precipitously. This is why by losing weight, you can often get a substantial boost in testosterone, something I document in my new book 15 Natural Erectile Dysfunction Cures. Yes, some fat is good. Yes, some estrogen is good. But in modern societies, obesity is a plague and, more often than not, leads to too much of both. 2) Immoderate Alcohol Consumption. Alcohol is a notorious estrogen increaser. However, alcohol does not increase estrogen via the activity of the aromatase enzyme. It increases estrogen by inhibiting the P430 system of the liver which is responsible, among many other things, for clearing estrogen from the blood. In other words, alcohol leads to an increase in estrogen levels, because your body clears it from the blood more slowly. Alcohol is associated with heart health, but if you are struggling with issues that seem to be related to estrogen (such as gynocomastia, loss of libido, low percentage of free testosterone, erectile dysfunction, etc. ), I would lay off alcohol for awhile and see if it helps. 3) Food Additives. Researchers recently found two food additives that are xenoestrogens, i.e. environmental estrogens that can impact us. The first food additive, propyl gallate, is a common preservative used to prevent fat spoliage in items such as baked goods, shortening, dried meats, candy, fresh pork sausage, mayonnaise and dried milk. The second additive, 4-hexyl resorcinol, is used to prevent discoloring in shrimp, lobsters and shellfish. These kind of xenoestrogens have been linked to reduced sperm counts (and increased breast cancer in women), but they likely affect us men as well. These do not measure on an estradiol blood test as far as I know but can definitely produce estrogenic symptoms. 4) Canned Products. Tomatoes are acidic and pull a toxin, Bisphenol-A, out of the lining of the tin can it is stored in. Bisphenol-A is a xenoestrogen associated with various reproductive disorders in animals. Even a very minute amount can have a negative effect. And in a recent Consumer Union study of various canned goods, the BPA problem was found to be much more widespread than previously imagined. Almost every canned product tested, including green beans, Juicy Juice, soup, corn, chili and baby formula, had signficant BPA levels and researchers estimate that it would be very easy for someone to consume levels of BPA close and equivalent to that which caused reproductive issues in animals. I recommend that you avoid canned goods until the FDA sorts this out. In addition, read my link on on Bisphenol-A for more details. This also does not measure on an estradiol blood test as far as I know but can definitely produce estrogenic symptoms.